How Many Times Can You Take Kratom - Must Known Basics? It is essential as a newbie on Kratom that you take time to understand how the herb works at different levels. Working with Kratom as a newbie can be quite daunting especially when it comes to dosing, and many will turn to various sources as well as trial and error to get things right. The side effects can get a little out of hand if the wrong approach is taken and so the right strategy needs to be made. Learning from the pros will help a great deal and so does researching. Even the pros will need to be careful and taking the time to record your intake will improve further. The trick is working through the dosages without tipping over and building tolerance. Tipping over is building tolerance. Pros will know what to do to avoid hitting this point, and the newbies need to tread informatively to be safe. One of the most commonly asked questions is, is there a right dose? The answer to this is yes and no! Let it not confuse you. The reason for this is because of the strains of Kratom that are out there and the tolerance that comes with each individual. and yellow Vietnam among many others. All these strains will have different ‘kicks’ and knowing how each handle will be helpful. You are tinkering with high tolerance when you find yourself moving from 2 grams of Kratom to about 5gms to get the same effects. The right dose is more of a trial and error based on these facts. It is recommended that you start from 0.5gms and slowly build up to about 2 grams while giving Kratom 15 to 35 minutes to kick in the effects. High-quality Kratom will kick in after about 15 minutes and a lower quality of about 25 minutes. Take time to ride the feeling out for 4 to 5 hours after you feel the effects. Do not push for a higher dose once you start getting to this point. Different people will have different body chemistry, and this is a significant factor when finding the best Kratom dosage. The best way to take Kratom is by keeping a log. This may sound tedious but it is the only way you can master the dosages. Keeping logs needs to be guided by time, feeling and amounts of the dosage. You will also need to record the strain taken at the time so as to know how each reacts. Kratom Causes you to lose a lot of water and hydration is vital. You do not want to be dehydrated when it kicks in. Hydration helps keep the effects in control even for the pros. The lack of water will make you feel nauseous and dizzy especially if you will be on your feet during the day. It is best to take Kratom on an empty stomach if you want the effects to kick in faster and last longer. A full stomach will slow down the results as well as dilute the effects. You can also take it 2 or 3 hours after eating if you are a beginner experimenting. 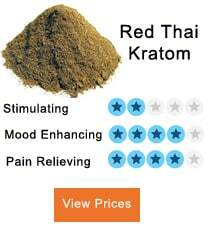 Do not take Kratom if you have not taken the time to do your research on the strains. Different strains will have different effects on you and this is important to not. This is why it is best to take Kratom while keeping a log. You will soon know what strain does what for you and what to keep off from. Masters of Kratom dosage will swear in certain methods of administration but will agree on a few. You can take Kratom by brewing the powder into a tea form and straining it. This method often provides a more consistent effect as opposed to many others. It is also a great start for the newbies. This is method will require longer preparation. Toss n’ wash may be the oldest method people have used to take Kratom. Simply put your preferred dosage in a glass and tip it on your tongue, Swirl the mixture in your mouth and then swallow. Some people divide it into portions in the mouth and swallow in parts. The taste is bitter and users have found other ways to take it without fighting the taste. Using fresh yogurt is one of the easiest ways to take Kratom for beginners. The reason for this is that the yogurt flavor drowns the bitter Kratom taste making it more palatable. This method, however, slows down the effect of Kratom, which is better to use on an empty stomach for best results. More people claim that using protein shakes enhances the quality and feel of Kratom. This may be up for debate but is a sure way to take Kratom. Only add your dosage to the protein shake of preference and drink away. Some argue that this will dilute the effects of the substance while others believe that you can actually enhance it with certain concoctions. 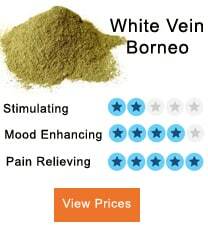 Most Kratom users do not recommend capsules. The reason for this is that you get to swallow the while capsule directly and wait for the effects. You may need more tablets to get the kick in if the potency is lower. One important factor, in conclusion, is the need to keep tolerance at bay. One of the many ways professional users have found is by mixing the known strains. Different strains come with varying tags in potency and will provide a different feel. Taking them in rotation provides a different feel which keeps tolerance away. The effects are in a way differently satisfying which is what most users are looking for. Getting 3 or more strains to work with will keep addiction at bay. Newbies are also advised to take Kratom alongside a professional. If you encounter side effects such as diarrhea, nausea, dizziness, and dehydration, it means that you are doing the whole thing wrong.